Going 10 MPH in a 45 with the blinkers on. 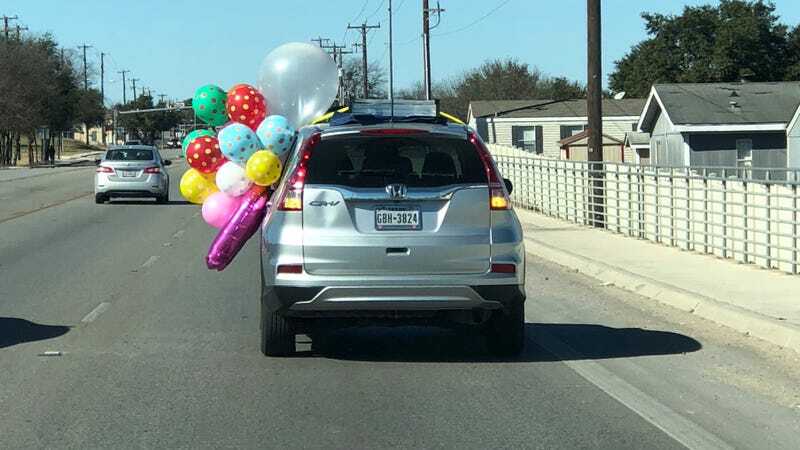 Yes the driver is holding all of those balloons with one hand while driving with the other. Every time I think I’ve seen it all on the road some new surprise comes along.